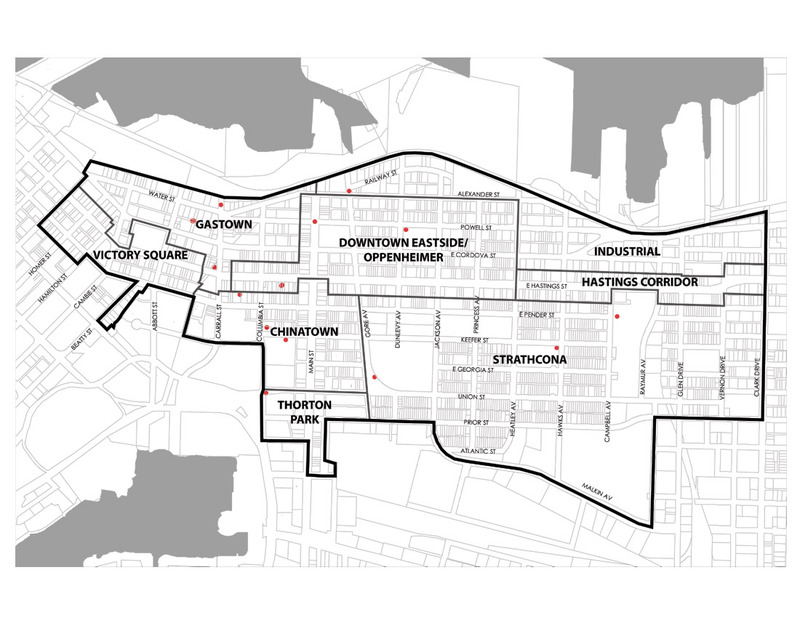 Plan of Downtown Eastside Zoning Boundary with sub-areas. 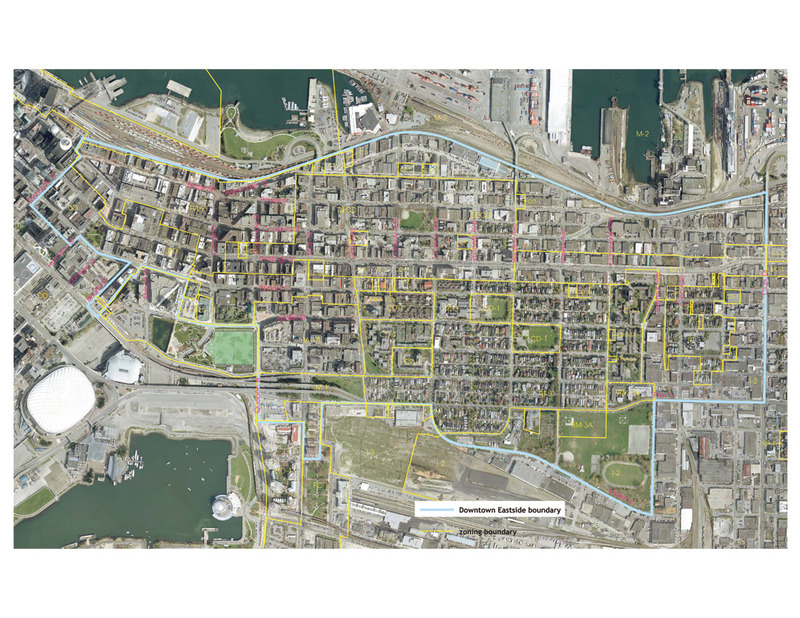 Satellite photo of Downtown Eastside zone with sub-areas. 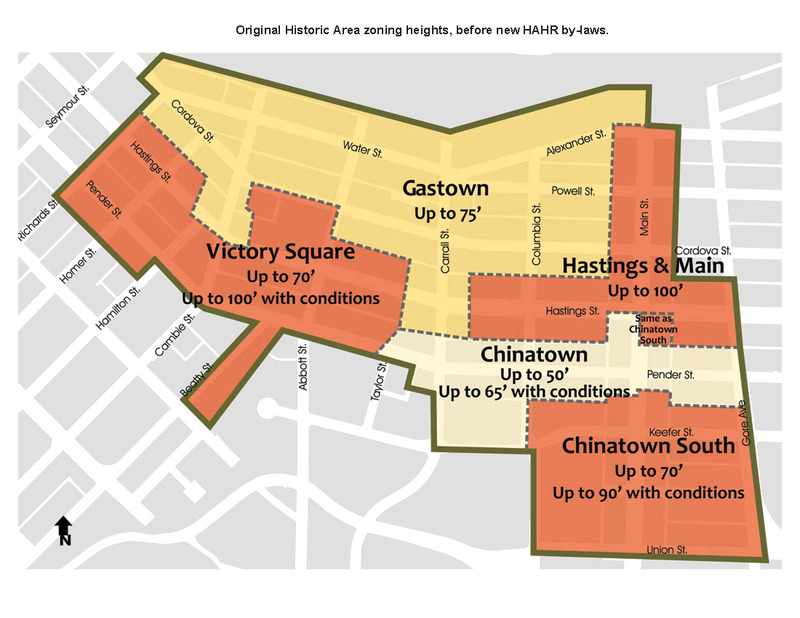 Historic Area building height limits, prior to by-law changes.